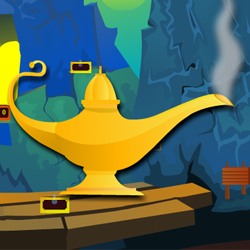 Find Magical Lamp is the new point and click escape game from Ajaz Games. Lost in the cave, only one way to get out, searching for clues and unlocking the Magical Lamp for the escape. Enjoy free new online escape game. Wish you Good luck. Have fun playing ajazgames.